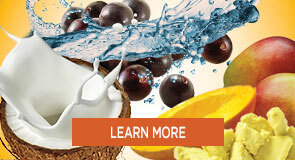 Revitalize your hair with Creme of Nature® Strengthening Hair Masque with Acai Berry & Keratin. This nourishing formula, infused with Certified Natural Acai Berries plus Keratin, helps aid in repair to strengthen and smooth dry or damaged hair. 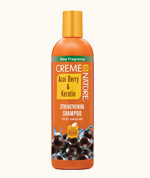 After shampooing with Creme of Nature® Certified Natural Acai Berry & Keratin Shampoo, evenly apply a generous amount to clean, wet hair from roots to ends concentrating on dry or damaged areas. Leave on for 5-10 minutes and rinse thoroughly. For rapid restoration, after applying masque, proceed with hair steaming or sit under hooded dryer with plastic cap. Use weekly for best results. Apply in small sections, starting from the roots and working down to the ends. Cover with a plastic cap and let sit for 1 hour. Rinse with warm water. Coconut Oil softens hair and improves manageability. Mango conditions and protects hair. 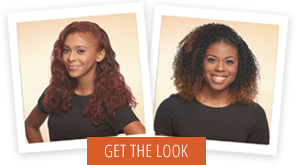 Shea Butter moisturizes and softens hair. Acai Berry helps prevent damage. Keratin aids in hair repair and smoothness.